> to create needles that perfectly fit into HD Vinyl’s laser-inscribed grooves. 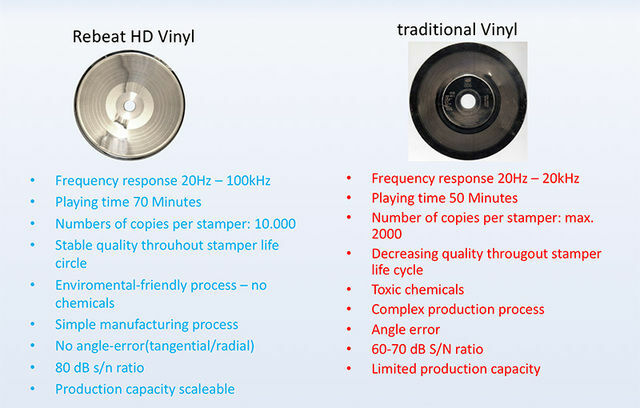 > the shape of the groove, the laser-cut HD Vinyl record produces a superior S/N-ratio. > Also, tangential/radial errors are completely eliminated, removing the tilt of the needle.